Rabbi Steinsaltz's formal education includes a degree in mathematics from the Hebrew University, in addition to his rabbinic studies. At the age of 23, he became Israel's youngest high school principal. Rabbi Steinsaltz then went on to found the Israel Institute for Talmudic Publications. Under its aegis, he has published to date 58 books on the Talmud, Jewish mysticism, religious thought, sociology, historical biography, and philosophy. These books have been translated into Russian, English, French, Portuguese, Swedish, Japanese, and Dutch. His commentary on Pirkei Avot, the Chapters of the Fathers, was translated into Chinese and published in 1996. Deeply involved in the future of the Jews in the former Soviet Union, Rabbi Steinsaltz serves as the region's Duchovny Ravin, an historic Russian title which indicates that he is the spiritual mentor of Russian Jewry. In this capacity, Rabbi Steinsaltz travels to Russia and the Republics once each month from his home in Jerusalem. Rabbi Steinsaltz is best known for his interpretation, commentaries, and translations of the Babylonian Talmud, a monumental task which he began some 25 years ago. Thirty volumes of Rabbi Steinsaltz's Hebrew edition of the Talmud have been published; two million books are in print. The Rabbi expects to complete the project over the next decade, with a total of 42 volumes in Hebrew.Fifteen volumes of the Rabbi's Talmudic translation and commentaries have been translated into English and published by Random House, to great critical acclaim. Two volumes will appear in Fall, 1997, with additional volumes to be published yearly until the initial set of 21 volumes is completed. The first two volumes of a new edition of the Talmud have also been published in Russian, under the sponsorship of the Russian Academy of Sciences. This is an historic event: the first Russian Talmud ever produced. In addition, the first four volumes of the French translation have also been published. Rabbi Steinsaltz's other pioneering efforts in Russia include the founding of the Jewish University of Moscow and the Jewish University of St. Petersburg. These educational centers provide Hebrew language instruction and classes on Jewish life, history, and philosophy to thousands of Russian Jews each year. The Jewish University is the first degree-granting institution of Jewish studies ever established in the former Soviet Union. He has also established a publishing house in Moscow and Lamed, the national Jewish teachers' organization of the former Soviet Union. In Israel, Rabbi Steinsaltz is the Dean of the Mekor Chaim of Jerusalem network of schools, which encompasses kindergarten through high school. 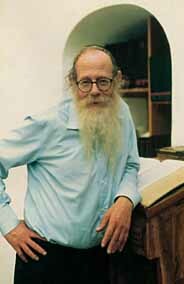 In 1988, Rabbi Steinsaltz received the Israel Prize, the country's highest honor. He has been a resident scholar at major academic institutions in Europe and the United States, among them Yale University and the Institute for Advanced Studies in Princeton, New Jersey. In 1991, Rabbi Steinsaltz served as Senior Scholar at a Xerox Dialogue at the Woodrow Wilson Center in Washington DC. Last year, he received the French Order of Arts and Letters; he has also been nominated to become a member of the Russian Academy of Sciences. Rabbi Steinsaltz's activities in the United States are supported by the Aleph Society (Aleph Society, 25 West 45th Street, New York, New York 10036), headquartered in New York City.